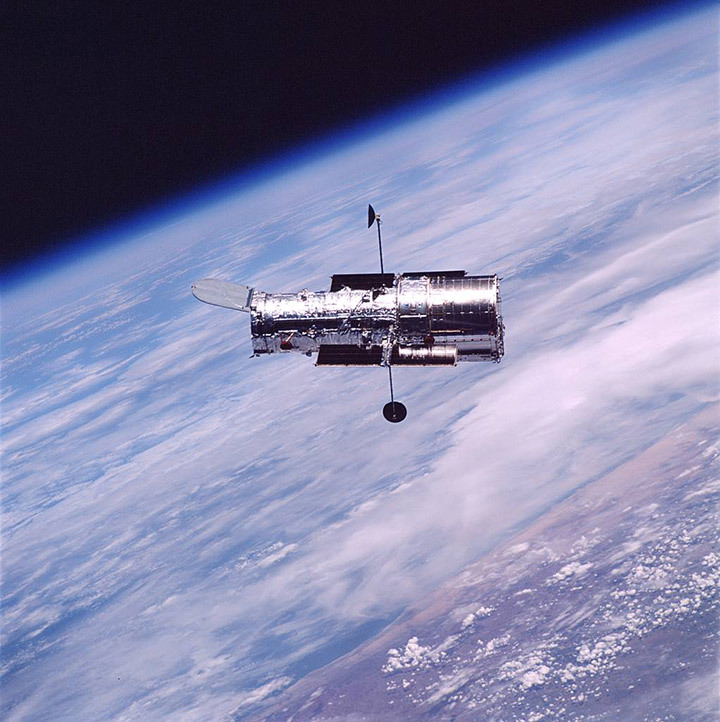 On April 24th, 1990 the Hubble Space Telescope was launched. Despite some ‘issues’ with the mirror shape (it was a fraction of a wavelength out of shape – the size of 1/50 the thickness of a piece of paper)the problems were soon sorted out and the Hubble started to give us some of the best images of deep stellar objects that we could ever expect to see. Sadly, Hubble does not have many more birthdays. It is expected to come to an end of useful life in 2013 or 2014, and with the Shuttle Program new ended it will not be able to get any more maintenance. It is possible it useful life may continue beyond the expected end date much like some of the Martian Rovers continued past their short-expected lifespan, but that remains to be seen. The Hubble does have a replacement in the James Webb Space Telescope. Oh hey! a new rocket launch set! This launch set includes the launch pad, engine igniter and the rocket & parachutes. The only thing not included are rocket engines and batteries for the launcher. What makes this model fun is that it caries two flying model ‘shuttles’ on the rocket. When the rocket at the shuttles reach their maximum height they detach and proceed to glide back down to Earth. The main rocket deploys its parachute and floats gently back to Earth. The gliders can float up to 200 feet. The kit requires minimal assembly and no gluing or painting is needed! Kaboom! Hog Wild Cannon Ball Shooter! We’ve had a fun new toy added from Hog Wild, who we’ve had in the past with their Dino Popper! Now they have added another fun foam ball shooting toy: The Cannon Ball Shooter! Its a simple concept: You stuff a foam ball (you get 6) into the cannon and slam down on the launch pad as hard as you can! The air shoots the ball up to 30 feet. Reload and fire at will! You can even change the angle of the cannon barrel to improve your aim. The cannon has a suction cup on the bottom so that it will stay put on slick surfaces. Astronomy Hints #15: Filter! Filter! One of the more wide-range things to use in astronomy are filters. There are a large number of them and their purpose varies greatly. They can reduce light, help with light pollution, bing out details, or help with astrophotography. 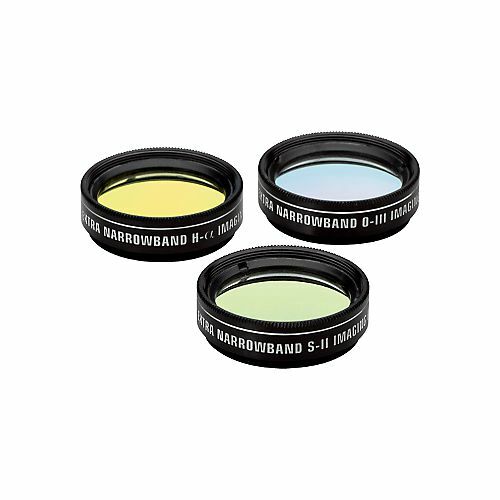 Most filters thread on easily to telescope’s eyepieces and can change your viewing experience. But when choosing filters one must remember this: They are filters, they are designed to remove something, even if it is unwanted. Some folks get the idea, especially with light-pollution filters, that filters make objects being viewed much brighter. But that is not the case. Think of it this way: if you have a kitchen odds are ou might have a water filter in your faucet or some kind of pitcher. When you use this filter you do not make more water by using it, you are merely removing the stuff in the water you do not want. Water filters are actually pretty good because if you put 1 liter of water over a water filter odds are you will end up with very close to 1 liter of clean water. But you won’t end up with 1.1 liters. Sounds obvious, but some folks get the idea that that is what astronomy filters can do. But it is not so. In fact using an astronomy filter on the light from the stars means you are going to lose some of the good light along with the stuff you do not want. If we go back to out water filter you can think of our 1 liter of unfiltered water becoming .9 or even .8 of a liter. Moon filters are simple neutral density filters (which means they evenly cut down on light across the visible spectrum) that thread onto your eyepiece. They are used because the Moon is actually very, very bright and viewing it in even small telescopes at it can hurt your eyes after a short time (not permanently, mind you). A Moon Filter can make viewing more comfortable. Typically filters allow in 25% of the light, or 12% (for larger telescopes) or in a variable model you adjust yourself . Solar filters are the only filters that do not thread onto the eyepiece. The go over front of the telescope. If you find a ‘solar filter’ that is meant to thread onto an eyepiece, destroy it immediately. Those are very dangerous as they can crack letting through sunlight that can damage your eyes. Don’t use them, Don’t keep them – someone else might be tempted. Destroy them. Most solar filters are simple screens of Mylar that cuts down on 99.999% of the light so that you can safely view the sun. Mostly what you will see is a white disc with some sunspots. It makes for some nice viewing during the high points of the sunspot cycles, during the lows the sun can seem a bit featureless, however. Another type of Solar Filter is the Hydrogen-Alpha Filter. These allow you to view reddish colored prominences and solar flares. They are very expensive, however (in the thousands of dollars) and they need a certain amount of ‘tweaking’. But they can give very impressive views of solar activity. Color Filters are used on the planets or the Moon – they cut off too much light to use on deep sky objects. Color filters are used to try and bring out more details on the planets that might get washed out in regular filtering. Details brought out might include the bands on Jupiter, polar caps on Mars, more lunar crater detail, and so on. Color filters can be hit-or-miss among astronomers. Some think they are great, others find them less useful. The field seems rather subjective but if you plan on viewing the Moon & Planets more than anything else you might wish to invest in a set. Light Pollution Filters are designed to help astronomers who live in light-polluted suburbs or cities. They are not a substitute for dark skies, but they can certainly help out when options are limited. 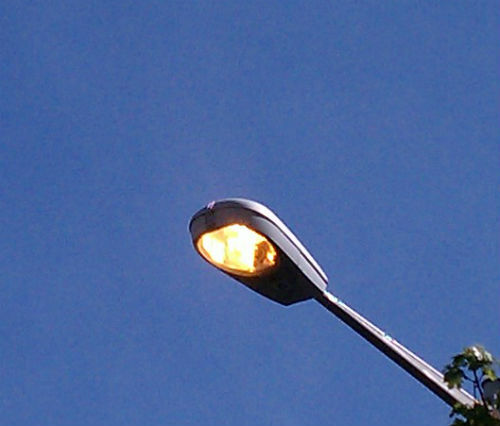 Light pollution filters help by cutting down on frequencies of light that streetlights, parking lot lights, and other human-made light sources produce, while letting through most of the light that stars, nebulea, and other deep sky objects emit. 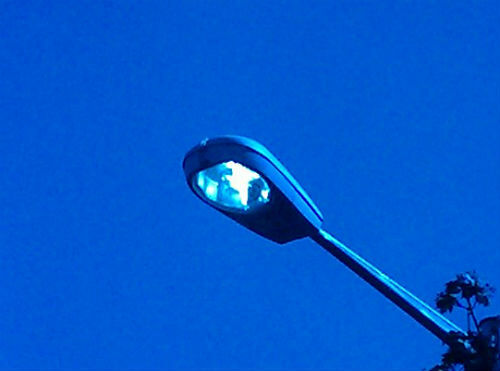 Street Lamp, through a phone camera, daytime, unfiltered. Same streetlight, with light pollution filter held over the camera lens. Note the difference. You will notice that the filter helps, but does not completely eliminate the streetlight light, and it does have some effect on the natural background light as well. This is why they are helpful but not a complete solution to dark skies. Light Pollution filters also are of little use on the Moon (which is bright enough to not be bothered by light pollution) or the major planets (which are similarly unaffected by light pollution). They are of limited effect on the outer planets as those planets emit light over much of the spectrum and get filtered as much as the background light.Some light pollution filters may be referred to as Nebula filters, which are very focused and are even designed to cut down on some of the light from nearby stars. There are a huge number of these and their uses could fill a book – a book about astrophotography that is. 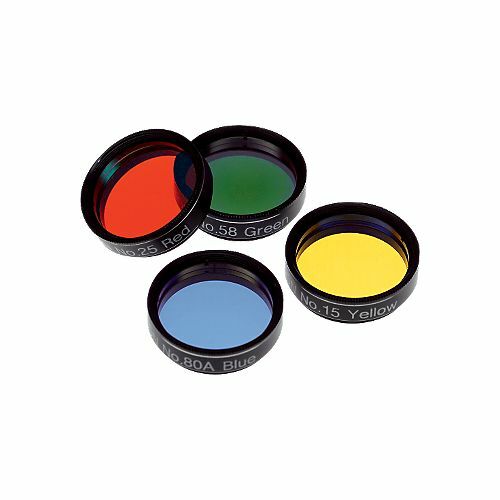 These filters do things like cut off the IR portion of the spectrum (which messes up CCD chips in digital cameras) or filters out only the all but the Red or Green or Blue part of the spectrum for monochromatic cameras. The number of these filters has expanded vastly in the past few years. Covering these would take a very large entry so we will leave them for now as it is beyond the scope of Astronomy Hints. These filters are for one type of telescope – refractors. The large lenses in these telescope sometimes act as prisms and break up the light into component colors. This is especially noticeable on bright objects like Jupiter or the star Sirius. The effect is that the object being viewed will have a violet colored halo that is affectionately known as ‘purple haze’. Violet-Minus filters cut out this portion of the spectrum without affecting overall viewing much. If you have a larger refractor that sometimes shows the ourple haze you might consider getting one of these filters. When you deal with instruments that need to completely sterilized, either for medical use, clean room use, or just need to be clean for work, simply washing the instruments with soap & water simply won’t do. For real sterilization what you will need is an Autoclave. An Autoclave sterilizes by using high-pressure steam to blast the instruments & tools for about 15-20 minutes. The temperature is usually about 121 degrees C. To put that in perspective consider that a kitchen dishwasher rarely goes above 75 degrees C, and usually operates at much lower temperatures. This high temperature steam completely ensures that even the most stubborn and tough bacterias, virii, fungi are dead or dormant. The controls are automatic and easy to use. A second setting with this model allows the temperature toe run at 134 degrees C for tough jobs or stubborn items. The unit also features safety features such as a locking door that remains locked until pressure is equal – you wouldn’t want a face full of hot steam! But maybe you need something bigger? For that BenchMark makes (and we sell it!) the 16L BioClave research autoclave. This autoclave has a larger 9″ x 13.75″ chamber that you can stand larger glassware up in if needed. The Bioclave 16 can be attached to an optional thermal external printer that can provide a record of sterilization parameters. Both models come with a 1 year warranty. The standard model operates on a 115V US current, but models that operate on 230V (British or European plug) are also available.